Garage door springs are powerful and can be dangerous. Trained technicians should handle their repairs. Do you need a specialist to take a look at you garage door? Would you like to install a new one? We at Garage Door Repair Saint Louis Park can help you with all that and more. We only offer quality products made by reputed manufacturers and our service is truly unbeatable in all of Minnesota. 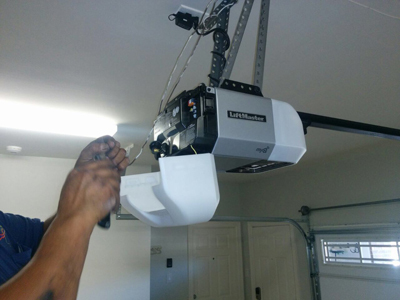 We are well-equipped to handle any garage door problem quickly and efficiently. It could be a broken spring, installing a new opener, aligning a door gone off track or just about anything. Our team of qualified and experienced service technicians can install and repair garage doors of any type. Garage door spring repair is one of our most sought after services because we are available to assist immediately. Whether its torsion or extension springs, it is very dangerous to repair or replace them on your own, so let us do it for you. Broken springs can cause injuries and even be fatal at times. We are concerned about your security, so if you notice that your door is not functioning like usual, then get in touch with us immediately so we can take care of it for you. You will be amazed at our affordable prices and quick response times. Installing a new garage door is an extensive exercise but really worth the investment as it can transform the look and feel of your home. Installing it on your own is big trouble and should not be done on your own anyway as there are many safety aspects to consider. Our trained technicians can do it for you efficiently and it can be a wooden, steel, glass, customized – we have it all. If you are looking for a replacement, our company can help you with that as well as we work with top manufacturers like Amarr, Clopay and Stanley among others. There are several options available and every homeowner can choose a door that suits their taste and budget. Our repair services are the best in the area and in most cases we strive to complete work on the same day itself. With us on the job you need not worry about repairing garage door springs, cables, tracks and openers, bent door tracks, panels and damaged emergency release, replacing an old door or opener, and even repairing minor components. A simple phone call can solve all of these problems. We are not just keen to fulfill the needs of our customers but also willing to answer your queries patiently. Most customers have a lot to ask and rightly so because they need to know what they are paying for. So get in touch with us if you want the right answers to your questions. Here are a few of them. * Which garage door is right for my home? All homes are unique and their requirements are different. The easiest thing to do is ascertain the space you have before buying one. You should also consider the location, neighborhood, requirements and budget. We can help you choose the right door. * What should I do if my remote is lost? First, do not lose your cool. Try looking for it at home or you can use the spare remote if you have one. Get in touch with our technicians who can program a new remote for you to use. If you are worried about security, call us for assistance and one of our servicemen will get a remote for you that uses rolling code technology. This way the lost remote is rendered unusable. * Is my garage door balanced properly? You can do several tests that will help ascertain that the door is balanced. Whatever you do, first disengage the opener. Try opening the door manually and leave it. The door should be in place without slamming shut. * I’m afraid that the springs may snap anytime, what should I do? If you suspect a problem with the garage door springs, call our technicians immediately, and do not use the door. The next time round ensure that the springs are well maintained. Simple lubrication and cleaning will go a long way in keeping them functional for a long time. While this may not answer all of your questions, it is important to know what to do in case of an emergency repair. 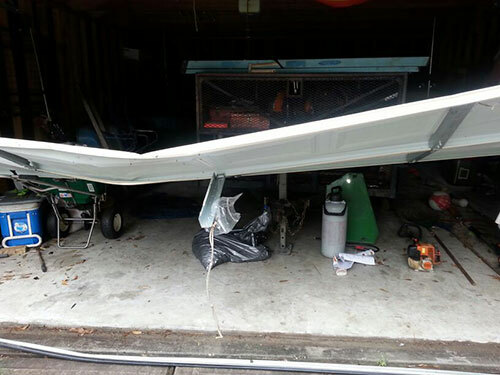 Hiring competent garage door repair professionals is the key. If you own a car (and nearly all of us do), having a safe and study garage door is very important. The quality of this door determines how safe your home is and like any other mechanical equipment, they also tend to break down. Many of us do not have the time to take care and maintain these doors well. Ignoring the maintenance aspect means compromising on your security and certainly, no one likes a tired-looking door as it can dent the general beauty of the exterior. Perhaps you’ve spent too much money and given up on your door altogether? We have the right solution for every problem and we work within your budget as well. Our solutions are long term and we can assure that the door will work well for long time. Our experts recommend all homeowners to do basic checks and maintain their garage door regularly. However, periodic inspection by our technicians can result in a door that does not breakdown frequently. If the door is looked after properly, it will need less repairs and this will help you save money in the long run. If you are thinking twice about hiring the services of our experts and wondering if the costs are too much, keep all your fears aside. Firstly, our rates are affordable and we can work within your budget. Secondly, the cost of repairing a neglected garage door will far outweigh the cost of regular maintenance. So give it a thought and get our servicemen to do the job for you. We do it well and we do it right every time. Not everyone understands the functioning of garage doors and we try to educate our customers if they are interested to learn. Knowledge always comes handy especially during emergencies, however, we are always ready to assist at such times, any time of the day or night. Here are some basic tips that will help keep the garage door functional for a long time to come. * Noisy garage doors. If the door is really noisy and disrupts your sleep, then it’s time to check on the screws, bolts, brackets and tracks. If the rollers are worn out, they have to be replaced. Hinges and springs should be lubricated. In some cases the cables are not in the right position, so check on that. Nylon rollers are a better option anytime as they are less noisy. * Preserving metal doors. If you love the lustrous look of your metal garage door, you can do a few things to keep it that way. Applying a resistant coat will keep the surface secure and rust will never form. Even rain and oxidation will have very little effect. However, it needs to be coated properly. This way it is convenient to clean the door. * Carriage garage door. These types of doors bring in the aura of a bygone era, but watch out for chipping paint. If this is the case, it needs to be repainted. Lubricate the moving parts so that it is not noisy and ensure that the tracks are always clean. If you are using an opener, test its reversing feature periodically. Our technicians at Garage Door Repair Company in Saint Louis Park can help you with the repair and maintenance aspect of these doors. Our customers are loyal to us simply because we offer same day service in nearly all cases and we are available during emergencies at any time of the day or night. We even offer a full line of opener and remote services as we help maintain and adjust the opener, align, fix and replace sensors, program remotes, install exterior keypad and install openers for both homes and commercial establishments. As these devices are motor-driven, you need experienced technicians who know and understand their functioning well. You can leave that bit to us as we install everything meticulously and not even a single wire will be out of place. We even educate our customers on how to use it properly and give them maintenance tips that will help them. So we ensure that the doors are installed and serviced correctly. If you notice any problem, even the slightest hint of malfunction, report it to us immediately. We can assist you and help identify the root cause of the problem to prevent accidents from happening later. You may be tempted to do repairs on your own, but it is very dangerous to as certain parts need to be calibrated and that can be done only by professionals like us. 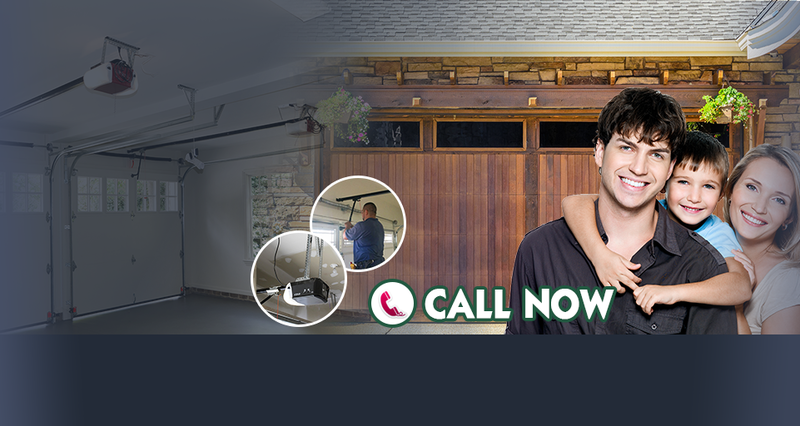 Get in touch with us today and see how we can assist with any garage door repair issues. Our teams help solve opener problems as well. We are true experts, and we can handle it for you.